​Are you ready to transform your relationship with your teenage daughter as she matures into adulthood? Would you love to strengthen the bond you have with your daughter? Would she love to gain more freedom and be recognised as the independent woman she is becoming? If yes, then this Mother Daughter Retreat is for YOU!!! 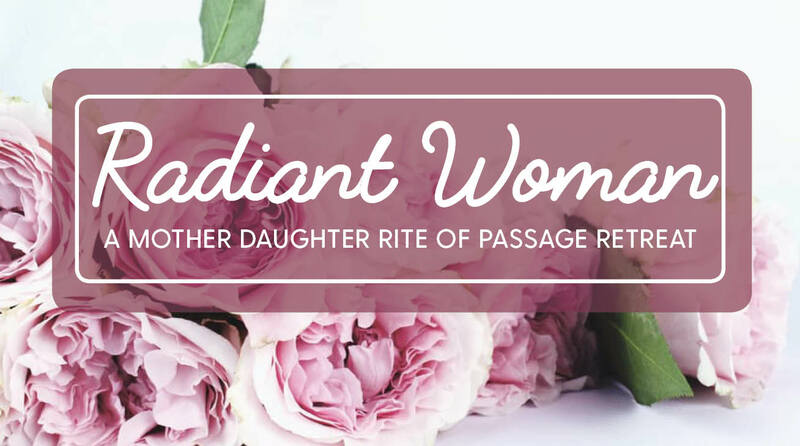 We are excited to bring you a Mother Daughter Rite of Passage Retreat that is based on years of research and gives your daughter the opportunity to let go of childhood behaviours as she moves into womanhood. 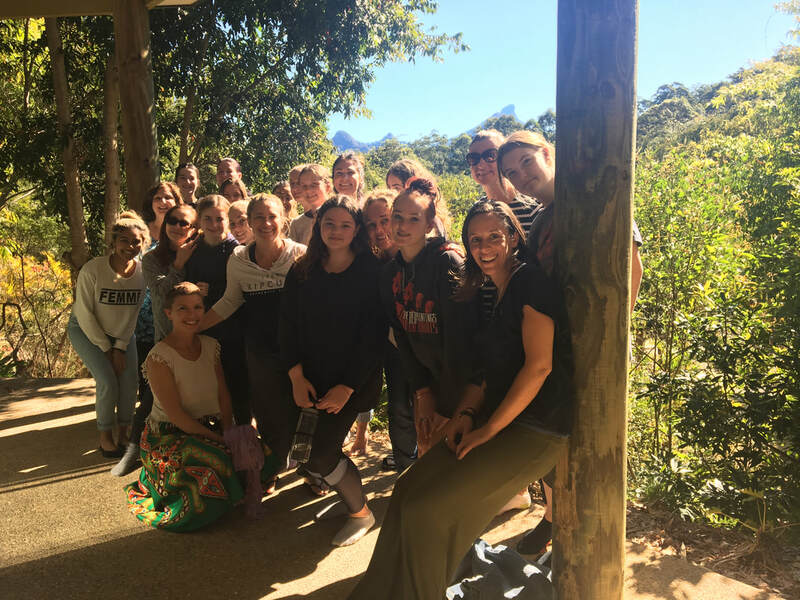 We understand that girls need peer-connection, excitement and challenge and we have designed this retreat to provide all this as well as a process of evolution from girl to woman. This life-changing experience builds a stronger mother daughter relationship, and is focused on bringing out the best in your daughter. Your daughter will leave the retreat with a positive vision of who she wants to be in her life. Radiant Woman was created in Northern NSW by Jaclyn Cunningham, Gabrielle Goldklang and Meera Bickley. We have also drawn on our own extensive experience, training, and research to create a program that is specifically suited to teenage girls and which is led and facilitated by a growing collaborative team of women. Jaclyn will facilitate on the WA program, along with Mandy Kota and Luna Wood from the East Coast, and an amazing local support team. More info about the WA team below. ~ Inspiration to help your daughter find clarity on her strengths, passions, purpose and direction. ~ Experiences that foster powerful and meaningful connection and communication between you and your daughter. ~ The weekend provides a great balance of transformational work, relaxation, and play in a breathtaking natural environment. ​~ All delivered in a feminine, safe, and lighthearted way for optimum ​transformation and joy! Jaclyn Cunningham is a high school teacher and social worker who completed her Masters of Social Work with the Rites of Passage Institute. A huge part of this work was researching girls' and women's Rites of Passage - both historically and in contemporary society around the world. She has always had a drive to work with youth and has recently become focused specifically on working with teenage girls. Jaclyn works towards a vision of creating a world where all girls and women know their worth and are valued for what they contribute to their community. She has played a key role in the creation and birth of the Radiant Woman program and it's evolving growth. Luna Wood is an artist, teacher, mentor, and modern Medicine Woman. 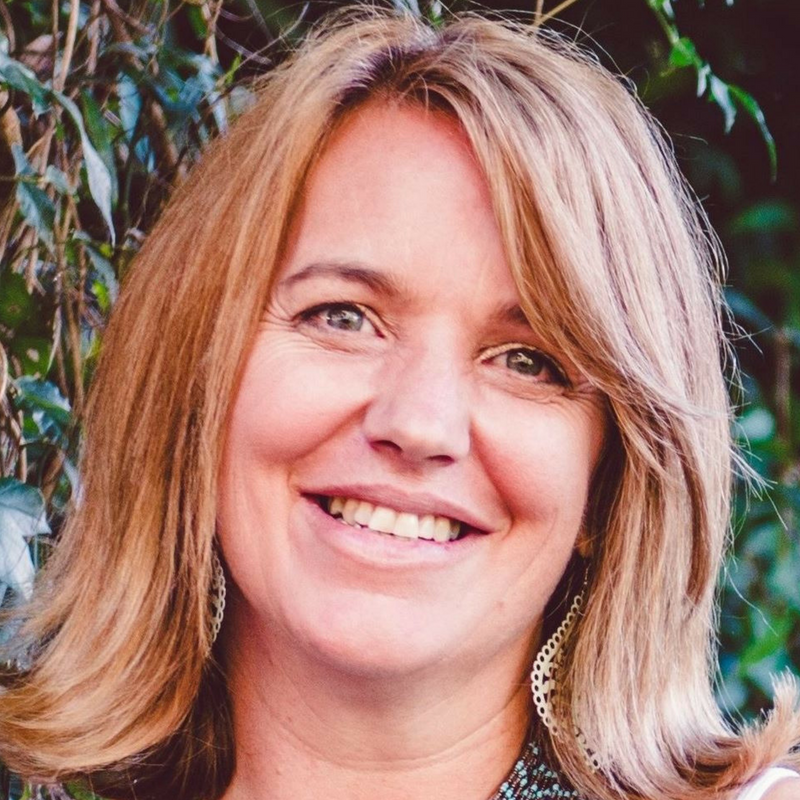 With 30 years of experience in bodywork, personal development, and Shamanic practices, Luna has supported a community of hundreds of women who seek emotional and spiritual transformation. Luna is known for bridging worlds. The seen and unseen, the masculine and feminine, mystic and digital, business and spiritual. She inspires ritualised living, inviting women and families to replace busyness with beingness to celebrate connection through beauty, awareness and love. Luna knows the journey of motherhood and family and is an amazing Mum to a beautiful 18 year old daughter. Luna will be gracing us with her supportive presence and deep connection. You can find out more about Luna and the work she does at www.lightcft.com. 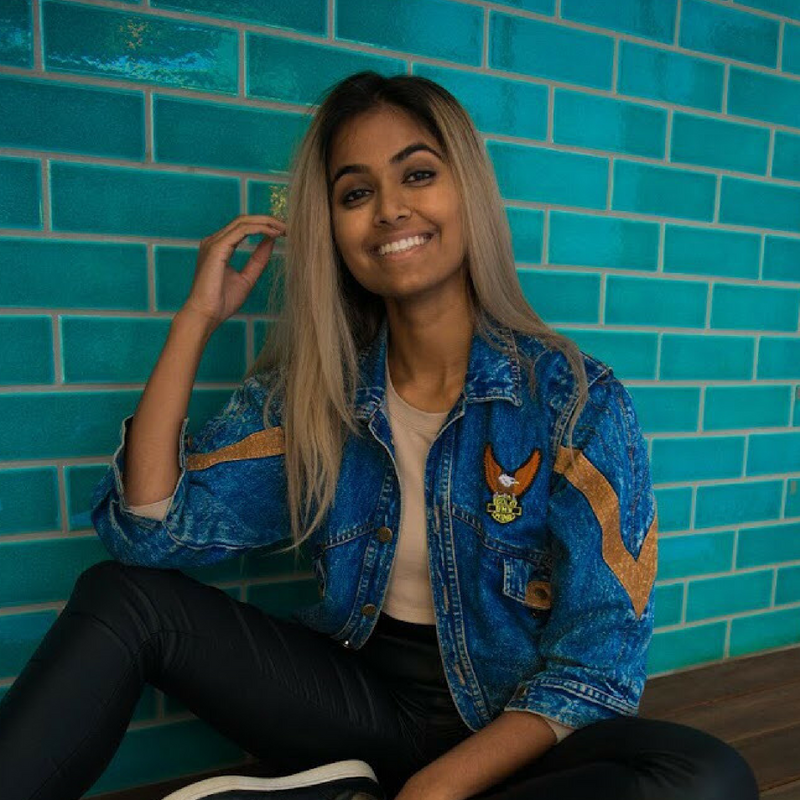 Mandy Kota is an ex-speech pathologist, TEDx Speaker, Model, an Australian Accredited Facilitator and the CEO & Founder of Flourish Girl. Flourish Girl focuses on empowering teenage girls to become unstoppable women. Working as a speech pathologist she found out that the rate of depression, anxiety and eating disorders amongst teenage girls were on a rise. She then found herself shift her passion and focus towards giving teenage girls a voice. Having worked within multiple youth organisations such as Game Changers, The Rites of Passage Institute, Stand Up and Little Dreamers Australia, Mandy has impacted the lives of thousands of young girls across Australia and the world and has recently been recognised by the Foundation for Young Australians as an influential young social pioneer. We will have local guest facilitators coming to lead different sessions. "Surround your girls with wonderful juicy wise women. Authenticity, belonging, full self-expression. Empowerment as women as we own our brilliance, celebrate each other, and realise that we are enough. A teenage girl comfortable standing out, not fitting in the mould, and speaking her truth. She embraces her differences and uniqueness, and experiences true belonging. She was not born to fit in, she was born to shine. She experiences connection and meaning as she finds and plays her unique role with courage. A celebration of her brilliance, a realisation of her worth, and inspiration for her to lead. A woman in touch with her inner voice and her intuitive knowledge. A world where more girls and women honour and trust their intuitive voice, and have the courage to act upon it. How old does my daughter need to be to attend? This retreat will be most beneficial for girls aged 14 – 17. This is the developmental stage in their life where they want to assert their independence from their parents and find their own way in life. This retreat will guide them to create a vision for their life full of magic and dreams. We will honour her strengths as an emerging woman and challenge her to step up into a more responsible adult role in her family and community. A Rite of Passage for girls usually marks the start of their menstruation. If your daughter has not experienced this yet, we recommend waiting till next time. If there is a medical condition, or If your daughter is younger or older than the recommended age and you are still interested in coming, please contact us and we can discuss further. How do you feel in your body as you read through the information about this retreat? If you feel clearly that this retreat would not suit your daughter, then go with that feeling. If you feel nervous and anxious consider that fear is often excitement without the breath. Breathe into these feelings and notice what lies underneath them. Opportunities for transformation and change often bring up resistance and fear. Connect with a larger vision of what you want for your daughter in order to overcome that. If you feel light and excited then yes, this retreat is right for you and your daughter. We require at least a $500 deposit to secure your place with the balance paid by 6 weeks prior to the retreat dates. Simply click on the REGISTER NOW button, complete the form with your details, and then follow the instructions to pay. We will sent you a confirmation email with times, venue details, info about what to bring etc. once we have received your registration form and deposit. HOW MANY MUMS AND DAUGHTERS WILL THERE BE? There will be a maximum of 10 mother daughter pairs. The group size will be intimate and supportive. Retreats in the past have been fully booked so please confirm your place ASAP so you don't miss out! ​I have two daughters ages between 14 and 17, can I come with both of them? No. We recommend coming with your older daughter this year and your younger daughter next year. It is important that this is a special occasion for the girl who is coming, and her younger sibling will be even more excited when it's her turn! 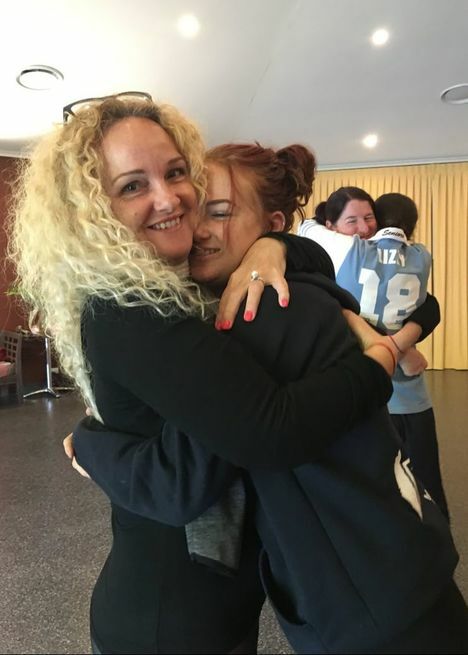 ​I'M A STEP-MUM/ AUNT/ GRANDMA/ FAMILY FRIEND TO A TEEN GIRL WHOSE MUM IS NOT ABLE TO ATTEND. CAN I COME WITH THEM? READY TO CONFIRM YOUR PLACE? ​our very first Radiant Woman in Western Australia!! !